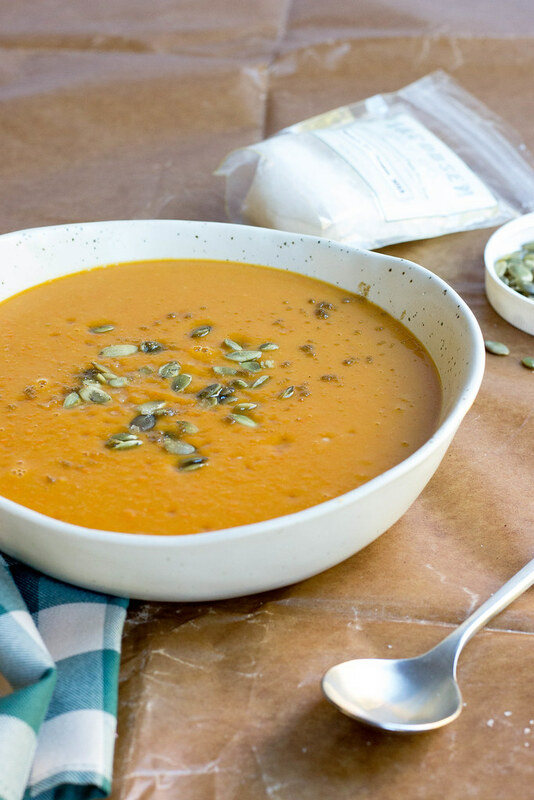 This soup is so crazy easy to make and is super satisfying- like most soups, it is even better the following day. 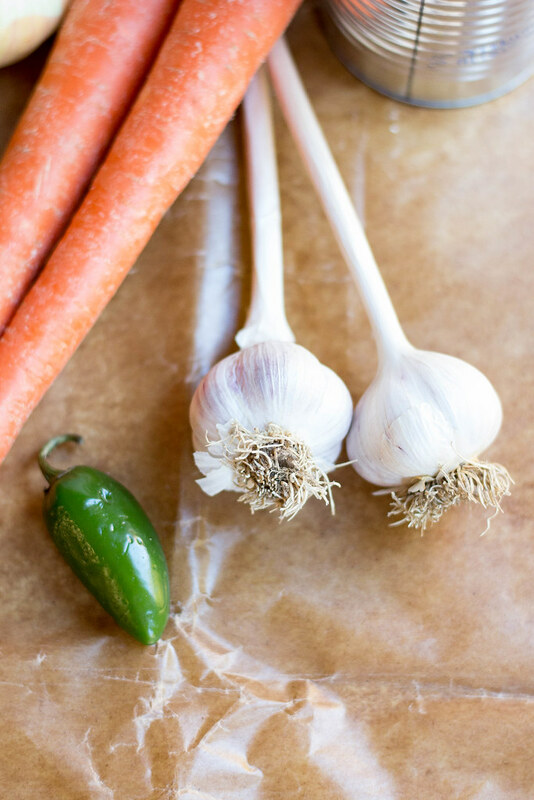 Really simple ingredients that I bet you can still find at your Winter Farmers Market - garlic, pumpkin, carrots and jalapeno. You can even sub in dried chilies for the jalapeno. Fresh Sugar Pumpkin roasted can be subbed in for the canned pumpkin. 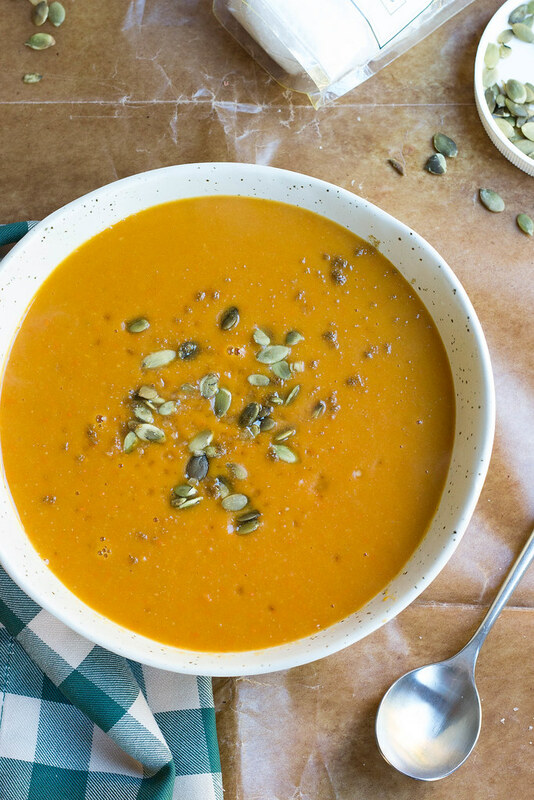 Depends on what sort of time you have on your hands - the organic canned pumpkin is just a good! 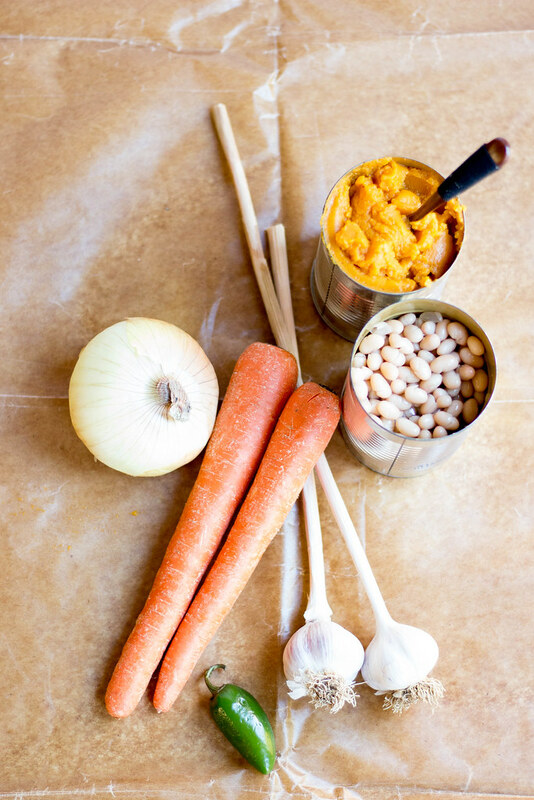 White beans add body and cumin adds just enough warmth that marries well with the jalapeno. The Pepitas add much needed texture to the overall dish. Fall makes me so happy - especially Fall in New England. The leaves are crazy gorgeous, the air just smells different- everything in the Fall air smells more intense and the crisp air wakes you right up- rosy cheeks and all. 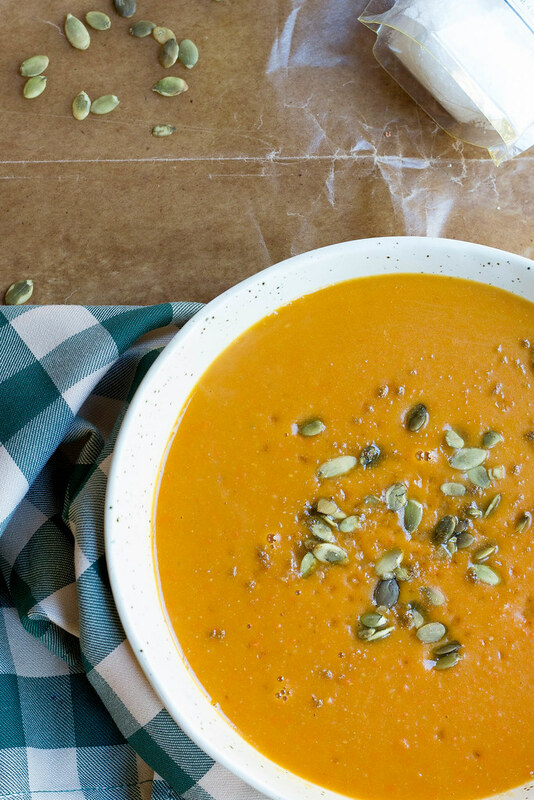 Apple + Pumpkin picking, leaf piles, warm Sunday suppers - whats not to love about this season? Over medium high heat, in a medium soup pot drizzle oil of choice and add onion, carrots, jalapeno and garlic- season with salt and cook for 1-2 minutes until onion begins to turn translucent. 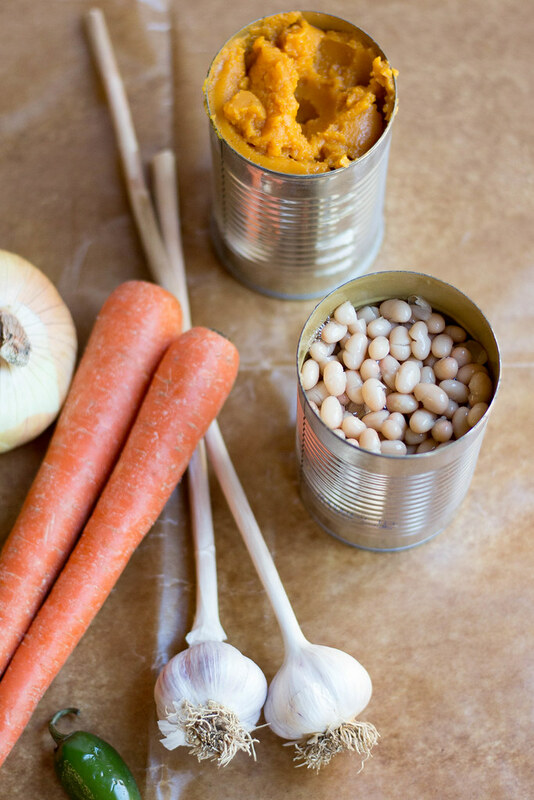 Add canned pumpkin, beans and cumin- season again with salt. Add water or veggie broth and stir. Cover and bring to a boil- reduce heat to a simmer. Simmer for 20-30 minutes. Remove from heat. 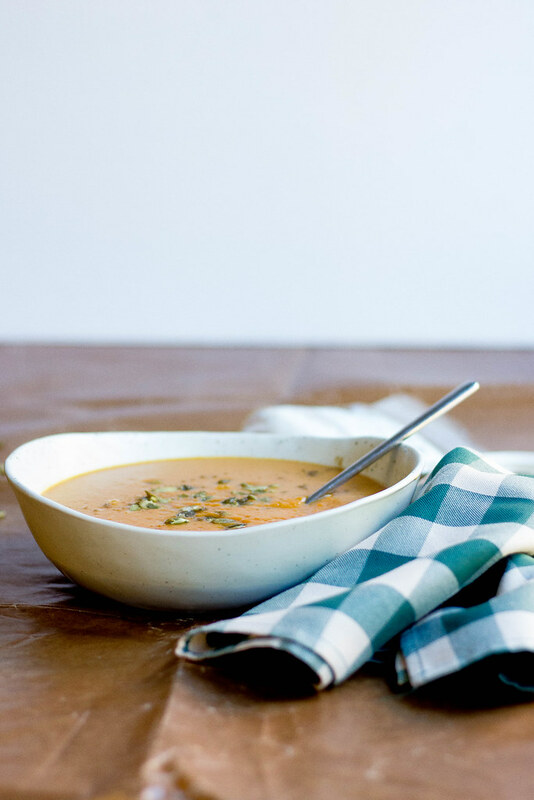 Using an immersion blender, blend soup until silky smooth. Ladle into bowls and top with pepitas, good flaky sea salt and more cumin if desired. So the very great plan facebook password hack such a smart thing. It was difficult for me to do my math homework. That's why I decided to learn cooking and start my career. Quality assignment help is always demadning by students then the homework experts at StudentsAssignmentHelp.com work hard to make sure your receive excellent work. We are working with the team of masters and Ph.D. degree professionals that are well-versed with every academic subject. Get 10% off On All Orders With VapeHappy Coupon Code And Shop mods, batteries, accessories, starter kits and more to get 10% off With VapeHappy Discount Code at checkout to save more. Vidmate is best android app to download videos from the internet for free at high speed. Download Vidmate now and enjoy videos on your smartphone on the go. 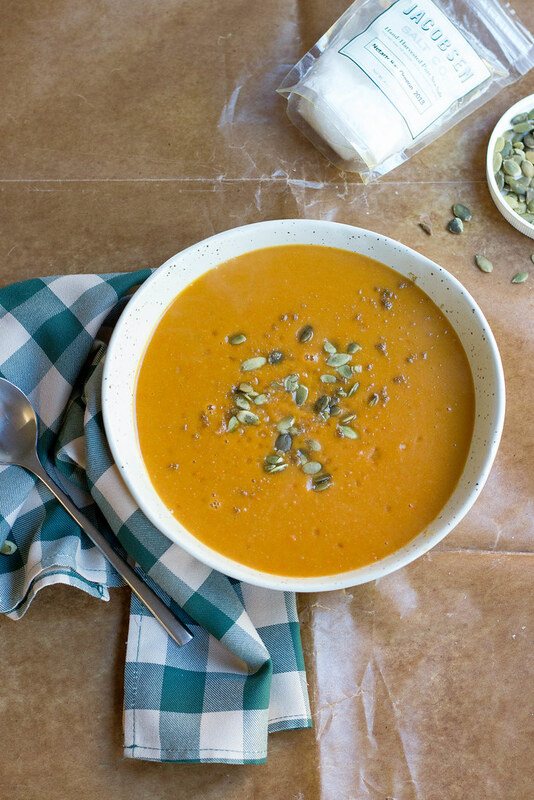 Pumpkin soup has always been one of my favorite soups of all time! Thank you for sharing this amazing recipe. Will surely email to you if I get stuck while cooking it, lol. Cartoon HD is an amazing app for Android, iOS and Windows. Facing error or issue with MYOB software such as installation issue, setting up the issue, found network server error? Contact MYOB support by calling on support toll-free number for best assistance and solutions. Get powerful features on your computer, tablet, and phone, whenever you need them. We add new features all the time, to make running your business easier. To get more better options for your software connect with us By our giving Sage Support toll-free number . Get Billing & Payments helps accessing invoice and other account information from Webroot just contact to webroot billing support team. they easily guides you how to manage your accounts details. MYOB AccountRight is powerful accounting software with business management capabilities. Download the latest version of MYOB AccountRight Here MYOB Support if you have a AccountRight Subscription.